Moana Road is a giftware wholesaler. TradeGecko streamlines their growing business operations. Moana Road is a giftware wholesaler that has started in Wellington, New Zealand in 2008 and has expanded quickly - there are now over 500 stores stocking their range of giftware, art, and homeware. In August 2014, Moana Road expanded to Melbourne, Australia. By staging little pop up stores all over the country, often in foot traffic heavy locations such as shopping malls, Moana Road was able to gauge customers’ interest. After establishing that there was indeed substantial demand, Paul decided to expand the business. 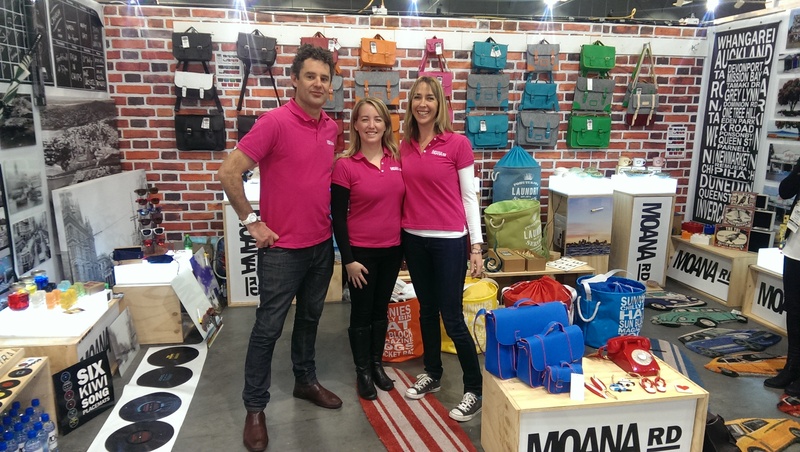 Now a pure wholesale business, Moana Road supplies to retail stores. We attend two gift fairs throughout the year, a channel that has helped us secure 80-90% of our customer base. Interestingly, many of our resellers still operate in quite traditional ways – the vast majority are family owned small businesses that source their goods from these fairs once or twice a year. Like many small businesses, Moana Road began to look for a solution that allowed their staff to access inventory and accounting data from anywhere. Members of the team wanted to work from home and a Cloud-based solution allowed them the flexibility to do so. Now that Moana Road operates across two countries, it’s more important than ever that their backend systems are integrated so that people across different locations can access the same information in real-time. The company is growing quickly, and having scalable systems in place will make it that much easier to expand in the future.